It can be tough trying to plan the perfect event. There are so many variables and moving pieces to help it succeed that it can be a little overwhelming. 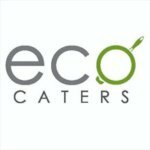 Finding a great San Diego catering company can go a long way towards making your event a spectacular hit. After all, who doesn’t love great food coupled with great service, flowing drinks, and plenty of ambiance? We can’t think of anyone, can you? The reality is that you can have just about anything and everything go wrong with a special event, but if you fill your guests’ bellies with delicious food and drink, they probably won’t even notice any other bumps in the road. But, feed them bad food and well… they will remember every single bump, along with how terrible the food was. Ever heard that old cliche, it’s not about what you do, it’s how you make someone feel? 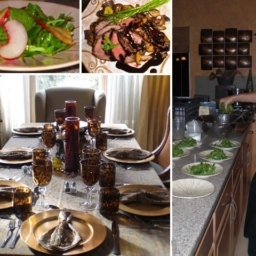 Guests remember good and bad experiences, and a good catering company in San Diego will help you create a fabulous experience for your guests, with zero stress you. 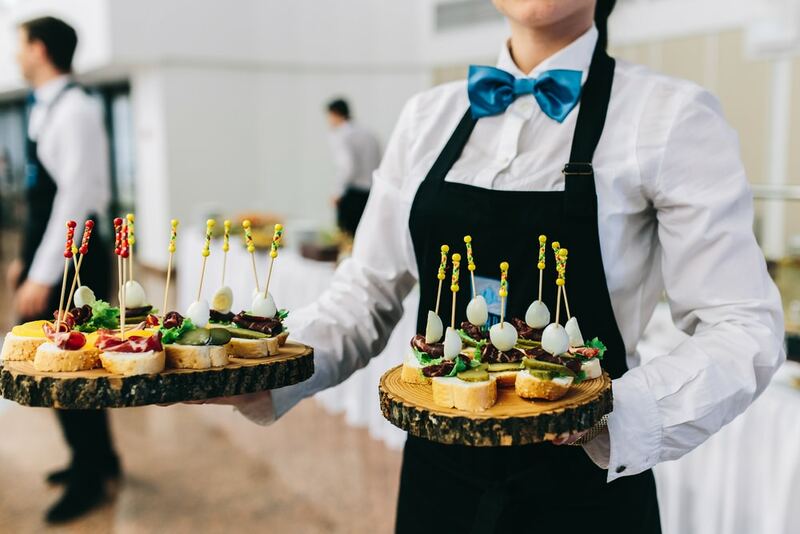 Here are a few reasons hiring a caterer for your next event makes planning and execution so much simpler. A great San Diego catering company will help you set the mood for your event, whether it’s big or small. Of course, delicious food is a must, but it’s also all about how the food is presented. You decide whether your event is upscale and swanky, or small, intimate, and laid-back. Then your caterer helps you create the perfect atmosphere at a unique venue and helps present a meal to remember for your guests. Whatever it is you envision for your event, your caterer can help you make it happen and help you leave a lasting impression for everyone in attendance. 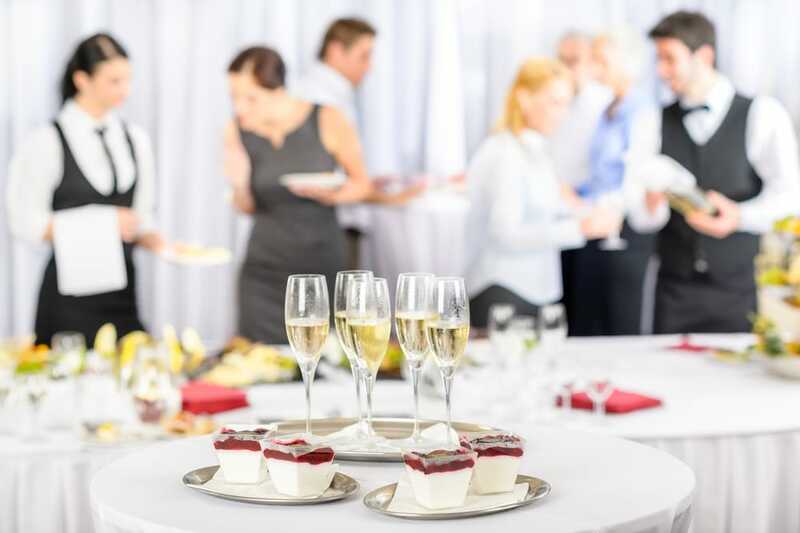 Some full-service corporate catering companies may even have in-house designers who can help you with other event details, like finding great centerpieces, designing your table so they look visually pleasing, and even help with lighting and props. Your caterer can help you with creating and laying out little finishing touches as well, like place cards for assigned seating, table cards, and even individual menus. At least every good catering company worth their salt will know what they’re doing. Make sure whoever you decide to hire has plenty of experience. Don’t be afraid to ask for referrals and check out their reviews from past customers. A good caterer can help you figure out exactly how much food you need, from hors-d’oeuvres and appetizers, to entrees and desserts. That way you won’t have to worry about leftovers or having too little food to adequately feed your guests. They do the math for you and make sure everyone is well-fed. Whether your event is big or small, a catering team can help you feed as many people as necessary, with zero stress on you. They save you time and multiple headaches and free up your attention to focus on your guests and other aspects of planning your event that require more of your presence. And hiring a caterer for your special event can actually be easier on your wallet (and sanity) than attempting to do everything yourself. Plus, caterers can be very helpful in planning a menu that serves everyone, even guests who may have certain dietary needs or restrictions, and they can help you do it in a way that fits your budget. Ultimately, hiring a caterer frees you up to mingle with your guests and actually enjoy yourself at your own event. 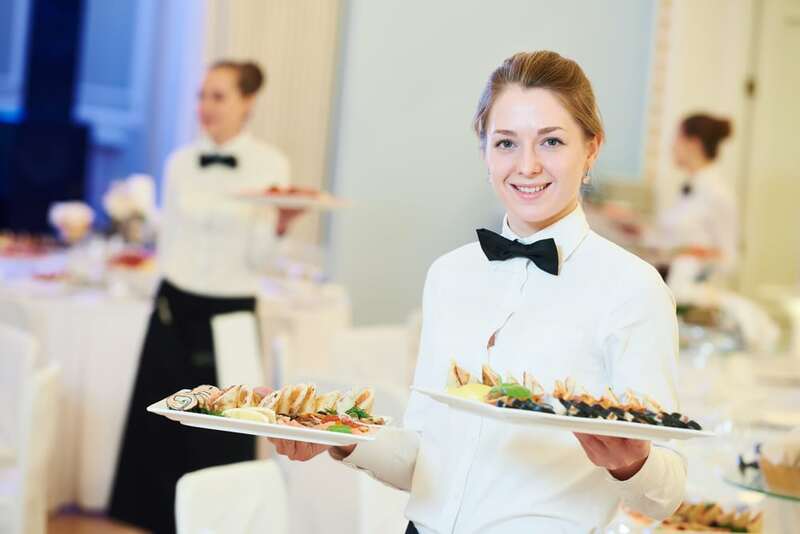 Caterers usually have a team of people to help your party run smoothly and ensure that your guests are well taken care of. They can help not only prepare food, but serve it to your guests, wait on guests and keep their drinks topped off, bus the tables and clear away dishes, plus cater to any other needs your guests may have as they enjoy their meal. Let’s face it. Planning an event can get hectic, especially if the event is fairly large. 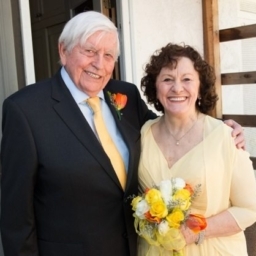 Your San Diego catering company will be able to help you with more than merely food and drinks. They think of everything, from decor and atmosphere, to linens and silverware, plates, glasses, and more. Sometimes they may even come up with things you would never have thought of on your own. They can help you brainstorm the perfect catering menu or come up with a signature drink, and help you choose foods that fit your brand or theme for the event. Talk about a load lifted. Set up and clean up is probably one of the least fun things you want to deal with as you plan an event. Luckily, your San Diego event catering and event company will know what they are doing and can handle both setup and clean up, so you don’t have to. Setting up and breaking down at an event is often those most dreaded part of an event. You have to make sure the tables and chairs are set up and arranged and that they follow your seating plan. Linens, plates, silverware, and glasses all have to be set up and arranged. Menus, seating cards, and place cards for your tables have to be set out where they belong. All of those tiny occasion details that give you a headache can be left in your San Diego catering staffs more than capable hands. These details are a caterer’s business and they excel at doing all of the above so that you can present your guests with a meal that not only tastes amazing, but looks amazing too.